Is Indian Institute of Management Bangalore (IIMB) better than IIM Ahmedabad? That it would be a hard question to answer seems pretty obvious. Both of them have got their strengths in certain areas and attract the best of talent in faculty as well as students and each school has its fanboys. Getting an objective evaluation in this scenario can be difficult. But its a different matter when a faculty provides perspective, specially someone who teaches at IIM B and completed the doctoral programme at IIM A.
Ganesh N. Prabhu, Professor, Corporate Strategy & Policy at Indian Institute of Management Bangalore, answers this question in Quora saying that after completing his FPM (Fellow Program in Management), the doctoral program at IIM, Ahmedabad 20 years ago, joined the faculty at IIMB. He says by the time he completed the FPM program in 1996, IIMB seemed to be the best option among the IIMs to join. “IIMB is today easily the IIM of choice for faculty in India and faculty moving into India,” he says. Plenty of faculty at IIMB are from the top universities worldwide who refused offers at IIMA and IIMC to join IIMB over the last 20 years. While many faculty members have moved from IIMA, IIMC, IIML and XLRI etc to IIMB, the reverse flow is very rare, Prabhu claims. He also puts quality of teaching at IIMB to be a cut above the top rated faculty at IIMA. To get above average teaching ratings in IIMB is very difficult due to the comparison. IIMB faculty who teach at IIMA usually get much higher ratings at IIMA. IIMB has at least four to even six executive programs running in parallel, compared to a smaller number at IIMA. This translates into IIMB faculty on average being more versatile while dealing with varied industry groups ranging from junior to senior management and internationals. Several executive education corporate clients have moved after a program cycle at IIMA to IIMB and stayed on. IIMB also has a significantly higher top tier publication output than IIMA and thus a higher recognition among top management schools worldwide. Such publications help management schools move up in worldwide rankings as well as help in increasing graduate salaries. Another advantage is that IIMB is located in the Startup capital. Even though very few PGP alumni build a Startup on graduation, the location enables faculty and students to be more involved with the vibrant startup ecosystem in Bangalore. IIMB faculty become mentors for Startups and students get consulting projects for Startups. They may also do internships at local Startups. Startups in IIMA or in Ahmedabad are fewer in comparison. IIMB gets more academic, international and industry visitors in a month than IIMA in an entire term or more. The situation provides for more interactions for research, faculty and student exchange. Over a period, it has led to exchange programs with more than 100 universities at IIMB. The Bangalore-based Indian Institute of Science (IISc) and Indian Institute of Information Technology (IIIT) Bangalore students also attend IIMB courses. IIMB also has a fair share of faculty organized conferences or student organized business events almost throughout the year. Major business events take place more often in Bangalore. Such events offer students and faculty the opportunity to network and deepen their knowledge in areas of their interest besides creating new job options. Prabhu also claims IIMB to be the most sought after campus for PGP recruiters, including IIMA alumni among them. 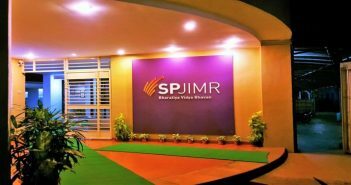 He attributes it to IIMB typically having more students with a consistent academic performance that is sought by top recruiters. 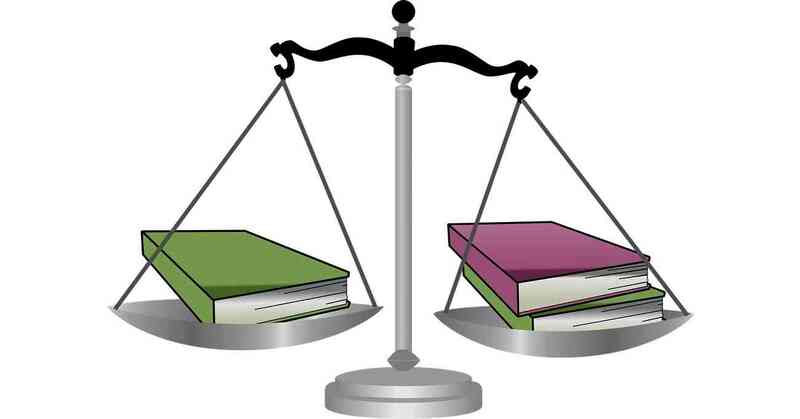 ALSO READ: IIM B vs IIM C vs ISB – Which one is right for you? IIMB has a slot wise placement process which is far better for mid-rung recruiters than the IIMA cohort placement process which favours top recruiters at the expense of the mid-rung recruiters and for the latter half of the batch. At IIMA, students placed in a less preferred company in an earlier cohort will opt to compete again in a later cohort and take up offers that could have gone to those not placed. Thus IIMB students placed after the midway point in the placement process will typically get better jobs compared to IIMA students placed after the midway point while the top half of both campus placements will be equally good. Apart from PGP/EPGP alumni, IIMB has a very large group of long duration part-time executive program alumni that makes significant efforts in enhancing IIMB networks. The PGSEM/PGPEM part time post graduate program has been in existence for several years building strong networks in the local industry. The EGMP, an year long certificate program is in great demand now. It runs four batches a year with 36 alumni cohorts and many more active alumni. Since more IIMB alumni stay in Bangalore their involvement in IIMB events is much higher. In contrast fewer IIMA alumni stay in Ahmedabad and are less involved there. 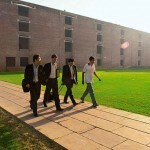 Overall, IIMB has grown in reputation since the early 1990s while trying to catch up with IIMA which is older by decades. Most PGP students getting offers at both IIMB and IIMA will blindly chose the latter. Konark Panday, PGP 2013–15, IIM Bangalore, feels that while IIM Ahmedabad, Bangalore and Calcutta are equal in quality of education, placements and faculty, where they differ is in culture and intake. He says among all the three IIMs, IIIMC has a culture of homogeneity brought about by sharing of misery, of being located outside the city, the torrid climatic conditions and the tough syllabus. An IIMC will support another IIMC no matter what. They are all high scorers in CAT, nothing else. That’s C’s criterion of selection. IIMB is the complete opposite- it has a culture of heterogeneity. At B, each individual is an achiever by themselves. Unlike C, where students grow their social capital, at B, each student explores his/her individuality. There is no affiliation of the students across any hostel block or class section or vicinity to the girls/boys hostel/mess. Each one is each one. No clusters. And this culture of B is crafted at selection – you need to be a CAT achiever, a school achiever, college achiever, a work achiever, and on top of this (and very critical), an expert of your passion/talent. IIMA is the perfect median between the other two with a culture of clusters. They are not just achievers, but toppers throughout their lives, a trait that brings on insecurity. This why IIMA people have a very strong and lasting bond with a small group of people. IIMAs are recognized by their bhawans (hostels) and they live to protect every member of their bhawan, irrespective of their batch.